2. For a given mode of operation has a relation ship between frequency and thrust been shown? 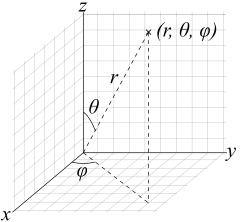 I would guess that lower frequencies would require larger frustum dimensions to keep the same mode. Only NASA has given all the dimensions of the EM Drive necessary to calculate the mode shapes and natural frequencies. 2. A paucity of information. All researchers run the EM Drive at the highest Q possible, hence they run one mode shape at one frequency. Diffferent frequencies for the same mode shape for the same EM Drive would mean running outside the peak resonance hence no high Q. Runs at different frequencies (for the same EM Drive) means different mode shapes. Shawyer does not even report the mode of operation for his experiments. Yang reports the mode of operation but that's it. NASA has mainly run in TM212 at one frequency. Only NASA has reported all the geometrical dimensions necessary to calculate mode shapes and natural frequencies. which is independent of the polarization and is orthogonal to the wave vector. Interesting, I have been wondering if it were possible the phase of the waves reflected from the top of the cavity could have their phase shifted eventually so that when they hit the bottom it would appear the bottom plate appears to be working against the electric field of the light a bit. This should provide attraction instead of repulsion and gives a behavior similar to negative effective mass for the light. I was also thinking that by tuning the frequency till resonance if we aren't shooting our selves in the foot. That idea being maybe we want as stated earlier by some others a balance between resonance and attenuation. I was thinking of measuring a force at resonance then slightly changing the frequency off resonance and see if the force changes with change in frequency. Yes, a photon rocket is propellant-less. The word "propellant-less" is a utilitarian, practical, business-like word. It originates from the fact that most of the weight of a rocket is the propellant and only a small percentage is the payload. It comes from the fact that there are huge earth-shattering practical benefits from any space propulsion that is propellant-less. For comparison, modern jet airliners have considerably higher useful load fractions, on the order of 45-55%. Propellant-less means that you don't have to carry on-board a huge reservoir of propellant in order to get propulsion. Thus Solar Sails are propellant-less propulsion. Electodynamic tethers are propellant-less propulsion. And a photon-rocket is propellant-less. For economic considerations (and $$$ talks), no on-board storage tanks for propellant ====> means "propellant-less"
(not just due to the dielectric insert, but don't forget that it is not unusual to coat the interior of the EM Drive with a polymer coating to protect the copper, as was done by NASA Eagleworks). Was the polymer coating applied to the end caps or just the cone? The dielectric properties of a coating on the large end could have a drastic effect on performance for TE modes, almost cancelling out the effect of the HDPE dielectric thrust. But they used a TM mode so it probably doesn't matter? I've been struggling to find references for this: How thick does a dielectric need to be to have it's full effect (generate fresnel reflections and change group velosity for transmitted waves)? Anti-reflective coatings are typically only 1/4 wave and seem to have the full index effect on their outer surface. Does an E field parallel to a reflecting surface (as with TE modes) only care about the first few atoms of depth (assuming the wave is approaching at 0 degrees angle of incidence)? How thick does it need to be for TM waves, 1/4 wave, 1/2 wave? EDIT: Oh, by the way, the Poynting vector frequency is always twice the frequency of the electromagnetic field, its period is 1/2 the period of the electromagnetic field. It reverses direction twice as often as the electromagnetic fields. So the Poynting vector is an even number of cycles no matter the number of half-cycles of the drive frequency. Well, next we ask, is the drive frequency (period, wavelength) always an interger number of half-cycles? Seems it must be in order to resonate but the shape of the cavity and the existance of the dielectric makes one wonder, what is the effective drive frequency as far as the Poynting vector is concerned and does it remain always an even number of cycles everywhere within the cavity? Perhaps a more salient question would be, what is the strength of the Poynting vector force over one-half cycle as that should be the maximum Poynting force attainable, and how does it compare to F = 2PQ/c? Only the Experimental EM Drive used an internal small end dielectric. As a result, it had low Q and low thrust. The Demonstrator and Flight Thruster EM Drives are high Q and high thrust devices which did not use a dielectric. So why the interest in dielectrics? 2) NASA only measured thrust using a dielectric insert. No thrust measured without it. c) it involved mode TE012 which, according to Brady's report, was difficult to replicate even with a dielectric, so they had to move on to mode TM212 which was never tested yet without a dielectric. Didn't March report a strong decline in thrust when a plastic screw that was holding the plastic slab to the side of the cavity had partially melted, resulting in a small gap? This very strongly suggests a thermal or a jet-out-of-the-cavity effect, as EM fields should not be significantly affected by a gap much smaller than the wavelength, but the wall and plastic temperature would be. The gas flow through the screw hole (and other holes) would also be strongly affected. Reasonably, the upper bound on the (unknown and non understood) systematic error should be taken to be as at least several times larger than the largest observed instance of said error (the disparity between forward and reverse force, which was ~80% of forward thrust and ~400% of the reverse thrust). With regards to further testing, it is simply not worth employing a team that is not impartial (to such a degree). edit: in particular, an impartial experimenter would not shy away from conducting experiments with high probability of falsification (e.g. involving a self contained, enclosed system). Sidenote: Didn't Paul March previously perform experiments at Lockheed Martin, involving a reactionless drive that can be built in an afternoon with a handful of common electronic components and a battery from a toy airplane? What happened to this? You said dE/dr = 0. Why? I think this is the key. I know all the math isn't quite there yet but it feels right and I will take the extra time to dig it out. Like the writer said we need to invent fire. Yes, it does have the same magic feel, doesn't it? There is a good analogy with 3dprinting, as far as being disruptive technology. when I started with my 3dprinting business, some 8 years ago, there was no hype...and very very few ppl knew what it was. Then suddenly, due to the patent protection falling away, it boomed and with that, the notion of "3dprinting as a disruptive technology" emerged. But the change is much more gradual then some people let to believe and 3dprinting is now becoming a novel way of production that is COMPLEMENTARY instead of destructive to the existing industry. As i see the EMdrive theories unfolding here, it becomes obvious to me that the multitude of different, often opposing parameters makes it very, very hard to establish a high performance EMdrive (like in needed for floating cars). I do not think we'll have a drastic change overnight and wake up 5 or 10 years from now and see floating trucks passing by. Very much looking forward to seeing how it goes for you! Would coating the inside with mono layer graphene do anything to increase Q? Fair points, as far as practical definitions and today technologies achieve. I just wanted to stress that while loss of mass due to spent power is, today, minuscule, this is not 0 strictly speaking. We can consider a technologically far off but physically possible matter/antimatter powered photon rocket, with huge reservoirs of matter/antimatter, a payload fraction of 1% and an ultimate speed of say 90% light speed when all this baryonic mass was burnt to photons. Seen like that, a photon rocket has as much a rocket equation as a classical action reaction one, hence not propellantless strictly speaking. I'm not arguing against photon rocket being qualified as propellantless for practical purpose, just that this terminology is not a rigorous scientific category like would be, let's say "exhaustless", and that it can't be used to say that EM drive is intrinsically same fundamental category as photon rocket, only with an improved yield. Photon rocket has a clearly identified exhaust stream of mass_energy, that allows it to accelerate in a flat space time perfect vacuum (on it's own resources only). EM drives, as a system supposed to be likewise able to accelerate on its own resources only, but have no such clearly identified exhaust stream, not experimentally, and not clearly theoretically, or at least unconvincingly so (not much people buy the quantum vacuum wake proposed by White). That makes it qualitatively a very different kind of system, while the photon rocket flies in the same qualitative category as classical rockets (chemical or ion thrusters...), even if it is with some extreme quantitative parameters. Like a good journalist he tried to stay somewhat neutral and it didn't worry me at all. I think there is a good chance this is going to work and just like rocket technology that matured through the years it should as well. How far will it go? We can only dream. I try to be flexible and objective, sometimes the glass is half full, sometimes it's half empty, but the engineer in me says the glass is twice as large as it needs to be. Although, I can't deny it makes me feel good thinking that it might be as disruptive to humanity as inventing fire. Then, if you ask the same question every deltaT interval of time, after a given amount of time T= N*deltaT, you will have asked the same question N times. Corollary: by increasing your deltaT you will decrease the number of times needed to get a satisfactory answer. This geometrical attenuation occurs in truncated conical waveguides, but it does not occur in cylindrical waveguides. The attenuation "α" and phase "β" constants are defined (Eq.10) as the logarithmic rate of decrease of amplitude and phase, respectively, of a field component in the direction of propagation. The discussion focused on the attenuation coefficient α which is zero for a cylindrical waveguide. Cylindrical waveguides have a phase constant β, but no geometrical attenuation constant α. Please refer to previous answers (http://forum.nasaspaceflight.com/index.php?topic=37642.msg1381830#msg1381830 ) for further information and nomenclature regarding the interpretation of r in Polar and Spherical coordinate systems. Zeng and Fan focus their attention (Fig. 2) on the geometrical attenuation constant α of the spherical polar Eθ and the azimuthal Eφ components of the electric field for TE and TM modes, but they also consider (Fig. 4) the geometrical attenuation constant α of the spherical radial Er component that occurs solely for TM modes. The practical significance of the geometrical attenuation constant α for the possible motion of the EM Drive is that the geometrical attenuation constant α is related to the fact that in truncated cone waveguides, a strict distinction between pure propagating and pure evanescent modes cannot be made. One mode after the other reaches cut-off in the truncated cone waveguide as it it gets closer to the small end of the truncated cone. This has the feel of somebody inside a car flashing a light at (and close to, so that all the light gets reflected) the rearview mirror of a car. Does the car move? No, because there is an equal recoil momentum on the flashlight as it emits the photons, equal to the momentum imparted on the rearview mirror. But in this case we have geometrical attenuation (producing evanescent waves) due to the tapered walls of the truncated cone. It is not just flashing a light at the rearview mirror, but it is the material cone itself forcing a geometrical attenuation of the electromagnetic fields. So the argument is similar as in McCulloch's theory and Notsosureofit's theory: does a gradient (in the longitudinal direction) forced by the material geometry of the truncated cone result in a net momentum of the EM Drive in order to satisfy conservation of momentum? 1) Shawyer: a gradient of the group velocity. 2) McCulloch: a gradient of Unruh radiation wavelengths . Are these theories related by more than just the fact that a gradient forced by the tapered walls of the truncated cone must result in acceleration in order to satisfy conservation of momentum? I expect the next experimental data point will be from our Roumanian pal Iulian, who is currently working on a tunable endplate. Apropos my earlier observation regarding the possibility that spurious forces might result from the interaction of the frustrum with the earth's magnetic field, I can't think of a pattern of currents which would produce a net force. However, it's clear that in principle currents can circulate around the frustrum cone section, and effectively form an electromagnet. This would feel a couple (torque) in the earth's field. Intriguingly, this would appear to line up with comments of Shawyer's (at least as reported elsewhere here) that you can't measure the EMDrive thrust by putting it on a scale. A couple would not cause net force in that situation. However, it is possible that a couple could create a force against the right arrangement of sensors. Finally, an interaction with the earth's field would produce an effect which varied with the vertical orientation of the device, as has been observed. Yes, and this is why any competent experiment ought to test the device in all 3 orientations plus and minus - so 6 tests. Intriguingly, this would appear to line up with comments of Shawyer's (at least as reported elsewhere here) that you can't measure the EMDrive thrust by putting it on a scale. If it only worked with specific orientations to Earth's magnetic field that should have been discovered and disclosed a long time ago.